Round The Bend01263 715779work01603 870304fax Self-cateringThis comfortable semi-detached cottage sits on the edge of Snettisham village. Snettisham offers something for everyone - Sandringham House, easy access to the stunning North Norfolk coast and RSPB reserves. 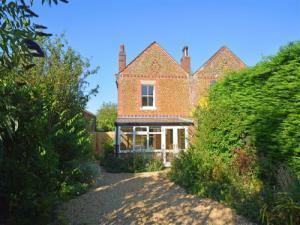 This comfortable semi-detached cottage sits on the edge of Snettisham village. Snettisham offers something for everyone - Sandringham House, easy access to the stunning North Norfolk coast and RSPB reserves.